The Weekly Walk: Give a Woof! Animals give us joy with kisses, by paying attention to us, and by allowing us to share videos of them on the Internet, so consider giving to animals in need this holiday season. There are numerous ways to donate. You can send money and supplies to local shelters. You can make purchases from companies that donate portions of proceeds to animal causes, such as our friends at Hendrick Boards. You can even foster a pet waiting for a permanent home. Want more specific ideas for spreading goodwill? Click here to learn how you can show your love for animals in Chicago, and click here to donate money to ASPCA, which will match each donation until it reaches $200,000. Woof! Q: Why are Dalmatians no good at hide and seek? 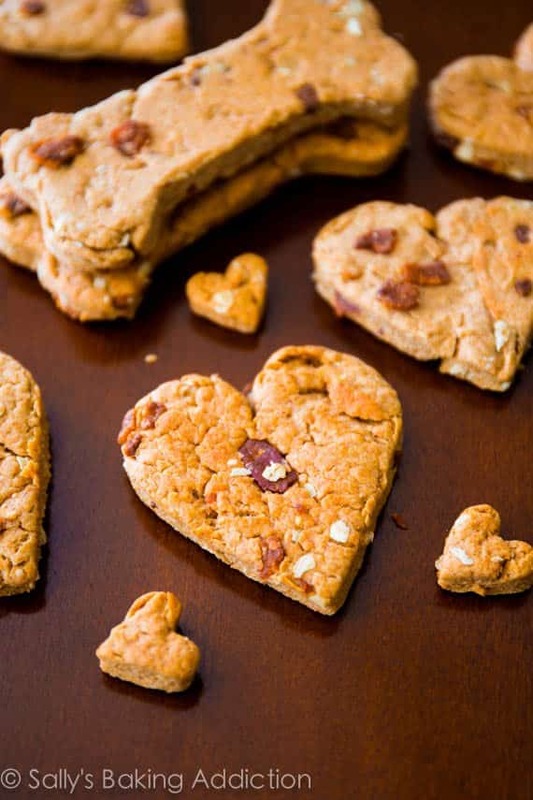 Homemade peanut butter bacon dog treats will show your pups you love them. Hint: one word, what Chicago Dog Walkers gives to shelters/charities for referrals. Holidays can be hectic. Remember to make time for the laundry. Is this how you feel about the snow each year? Thank you for taking another Weekly Walk with us. Be sure to share holiday stories about your pets in the comments below, on Twitter, or Facebook. Woof! The North Shore Animal League in New York has combined the holidays and cats, in an attempt to find many of their sheltered felines homes. While any effort to raise awareness about rescuing pets is commendable, the North Shore Animal League has gone the extra whisker. The organization has created christmascats.tv. What happens on christmascats.tv? It’s a live feed of cats in a holiday themed room. Music plays while you watch cats relax and chase each other and wait for people to adopt them. You can even post comments that an elf or elderly lady sometimes respond to. This is a remarkable effort and we want to send a big Meow to the North Shore Animal League. Are you looking to cut more grain out of your pet’s diet? Try this dog treat recipe. Hint: Three words, location and heart and animals. Woof! Meow! Woof! Are your pets excited for the holidays? Snow mazes are fantastic puzzles to keep your dogs busy this winter. We hope you enjoyed the first Weekly Walk of December. Tell us about any holiday traditions you have with your pets in the comments below, on Twitter, or Facebook. Woof!